Engin Altan Düzyatan: Handsome, Cool and Warrior | Do You Know Turkey | Turkish Tv Series & Drama, Turkish celebrities, travel information about Turkey and Turkish cusine. Engin Altan Düzyatan is probably the coolest actor of 2017. With the rise of the television series “Diriliş: Ertuğrul – Ertuğrul Resurrection” he is now at the peak of his career. He is handsome, cool and has great acting skills. Being discrete to press makes him a respected star among all the audience. 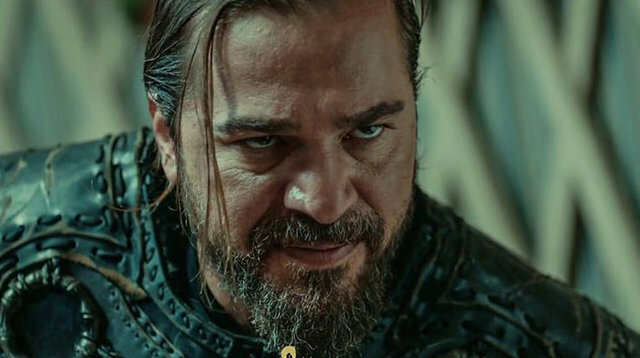 From 2002 to 2018, Engin Altan Düzyatan appeared various roles, but the latest tv series “Diriliş: Ertuğrul – Ertuğrul Resurrection” he plays as the warrior clan leader Ertuğrul Gazi, who is the father of Osman Bey, the founder of the Ottoman Empire. Ertuğrul Gazi is pictured as a cool warrior with his long hair & beard wearing leather suits unlike the classic Asian – Middle Eastern warrior type -a white cloth, turban etc. We can say Ertuğrul Gazi figure is pictured very similar to Jon Snow of The Game Of Thrones. Kit Harington and Engin Altan Düzyatan are both young and handsome figures, they are cool and serious. Engin Altan Düzyatan is the type of everybody… Everybody loves Engin Altan Düzyatan; young women want a boyfriend like him, old women want son-in-law like him, young boys want to be like him old boys place themselves in the role… We can say that he has fewer haters than other actors. Engin Altan Düzyatan was born on 26th of July 1979 in İzmir, his family has Albanian origins. He studied theatre in Dokuz Eylül University and after graduating he moved to İstanbul to take bigger roles on television and cinema. From 2014 to now Engin Altan Düzyatan is starring “Diriliş: Ertuğrul – Ertuğrul Resurrection” which is one of the biggest productions of TRT (Turkish Radio Television Corporation). Engin Altan Düzyatan was always discrete to press. Sure he was not a womanizer, he is a long-term relationship guy. He started to date with Özge Özpirinççi and the couple were engaged but they broke up in 2013. In 2014 he started a relationship with Neslişah Alkoçlar and the couple got married in 2014, Neslişah Alkoçlar gave him a son in 2016 named Emir Aras Düzyatan, in 2018 the couple is expecting a baby girl. Engin Altan Düzyatan is 1,85 mt height and 73 kgs weight, his zodiac is Leo.